Excellent condition large volume french fry/honey glazed parsnip line! 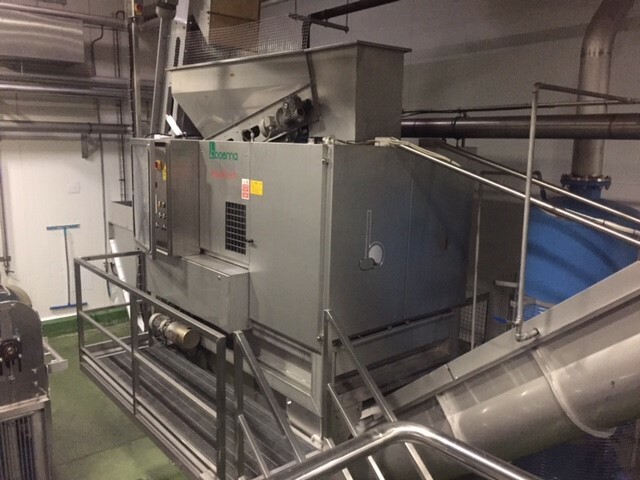 The line consists of box tipper and hopper, a 2006 B45 Boema steam peeler complete with feed belt and outake auger, 3m Odenberg peeler with waste pump, 3m Dofra dry brush scrubber, numerous cornell product pumps including 2 spares, Kiremko hydro cutter with several sets of tooling, complete flume bath to feed hydro cutter, de-watering vibro, 2 bead blanchers to insure optimum cook times, Beel industrial duel fuel boiler and hot well. This is a huge amount of machines, it is everything you need for producing french frys or parsnips at large volumes. It comes with all the control panels which allow you to alter the cook time and the amount of product you produce. Viewing is recomended as the pictures dont do the line any justice!